I know we are just getting into the swing of 2012 but we would like to announce some exciting things for Stitches in Bloom 2013. Our featured artist will be Charlotte Warr Andersen. She creates incredible pictorial quilts of both people and landscapes. She will teach a 3-day workshop preceding Stitches in Bloom 2013. Early registration will be available at this year's show. Anyone who registers by the end of the show will receive 15% off their total cost of registration-including their room if they choose a room package! There are only 20 spots! We have also chosen our 2013 Challenge Quilt fabric. 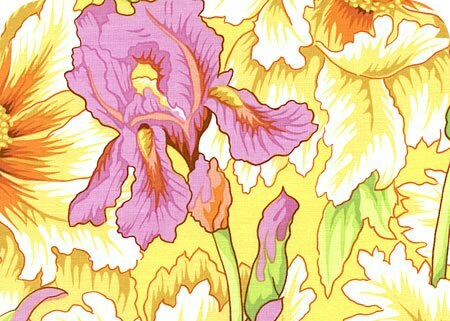 It's a beautiful Iris and Peony print by Kaffe Fassett. 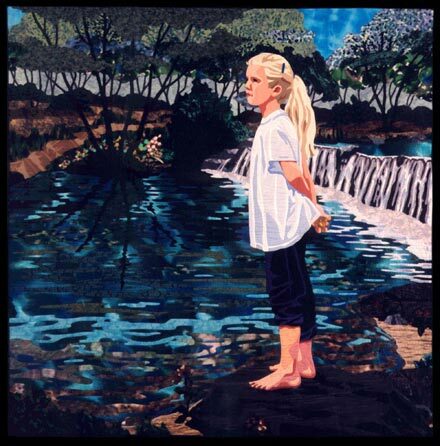 The 2013 challenge is sponsored by Greenbaum's Quilted Forest. First place will receive a $100 gift certificate. Greenbaum's will have this fabric available at the show! Stop by The Oregon Garden booth at the show for information and to pick up forms.